Building on the success of their first Bluetooth Smart Pen Mimoto Tech have once again taken to Kickstarter to raise the $30,000 they require to take their second generation smart pen into production. 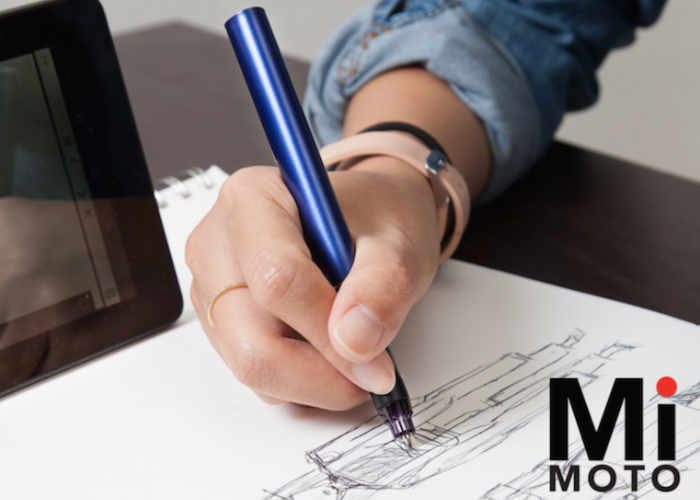 The Mimoto Tech Smart Pen 2.0 allows you to instantaneously capture your paper drawings, sketches and notes digitally on your smartphone or tablet. Watch the demonstration video below to learn more about the latest generation smart pen which is now available to back with super earlybird pledges from just $75, and a worldwide shipping date expected to take place during February 2017. The development team from Mimoto Tech explain a little more about their second-generation Smart Pen. We successfully launched our 1st smart pen on Kickstarter in 2014 and since then we’ve compiled the feedback from backers of our original pen, met with our manufacturers to see what is possible and are excited to bring you our new and improved design! For more information on the new Smart Pen jump over to the Kickstarter website for full specifications and to make a pledge by following the link below.